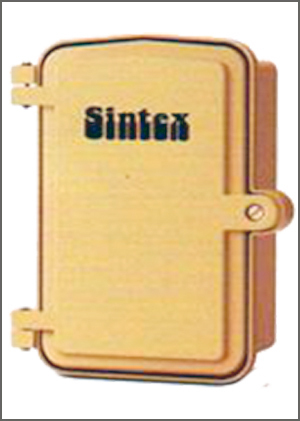 GS-JB-1414 140 x 140 x 95 Junction box/cut-out box/fuse box for single phase/2 core low wattage FTL/CFL based lighting system for pedestrian/pathway illumination. GS-JB-2014 200 x 140 x 95 Pole mounted junction box/cut-out box/fuse box for road/street lighting for 3 phase/4 core high wattage HPSV/HPMV/MH based lighting system for industrial applications. GS-JB-1616-T 140 x 140 x 100 Junction box/cut-out box/fuse box for single phase/2 core low wattage FTI/CFL based lighting system for pedestrian/pathway illumination..
GS-JB-3016-T 275 x 135 x 110 Pole mounted junction box/cut-out box/fuse box for road/street lighting for 3 phase/4 core high wattage HPSV/HPMV/MH based lighting system for industrial, commercial as well as flood lighting applications. CCV-400-01 340 x 160 x 90 Pole mounted junction box/cut-out box/fuse box for road/street lighting for 3 phase/4 core high wattage HPSV/HPMV/MH based lighting system for industrial, commercial as well as flood lighting applications. Provision for fixing 2 cut-outs, one for lighting and other for kiosks/signage/emergency power supply.